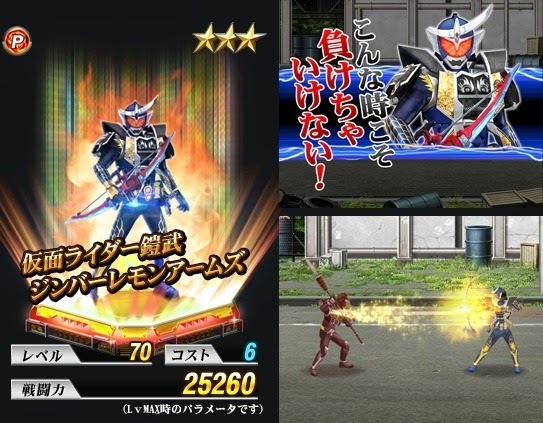 Dengeki Online recently reported that Bandai Namco Online and Yahoo Games are currently revamping the Kamen Rider PC Game entitled: Kamen Rider Batton-Line. 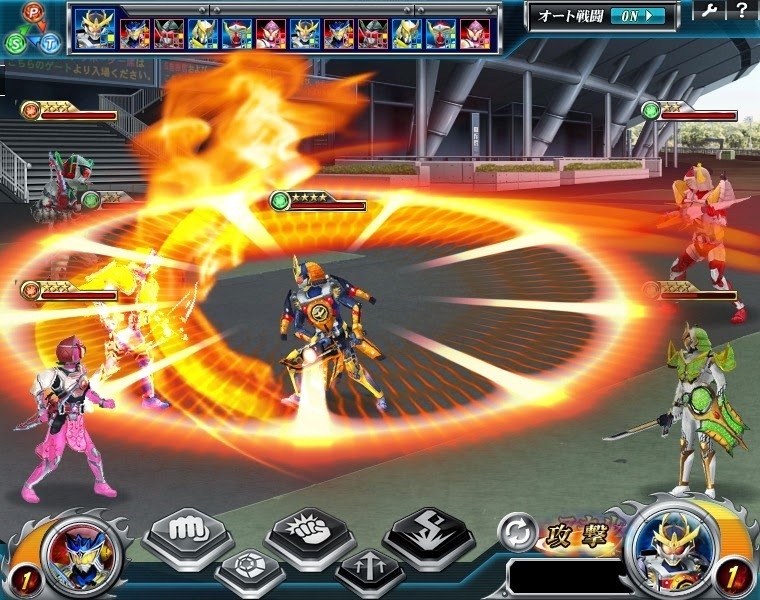 The PC offering is simple turn-based game that pits past and present Kamen Rider characters. It was said that gamers shared their feedback previously that the game's mechanics were quite confusing so the companies changed the some of the key aspects, making the game more intuitive and easier to play with just a few clicks. 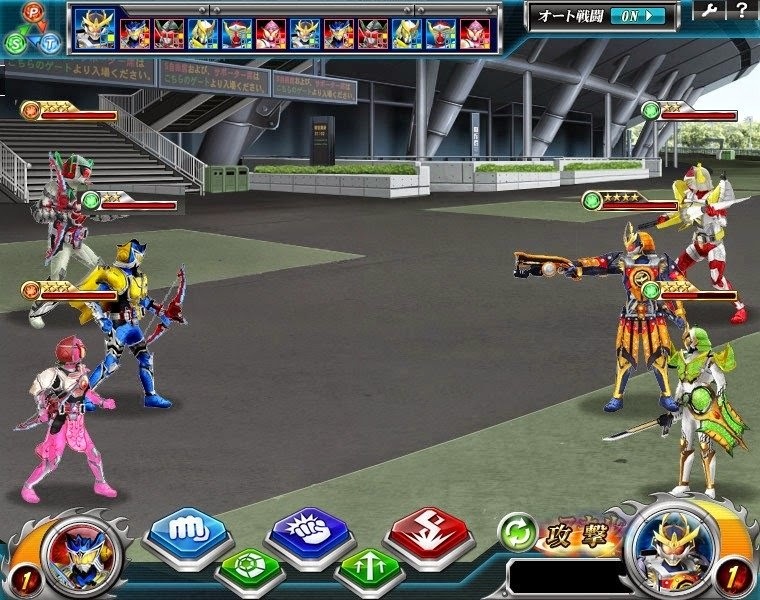 The game has also been updated with Kamen Rider Gaim characters. 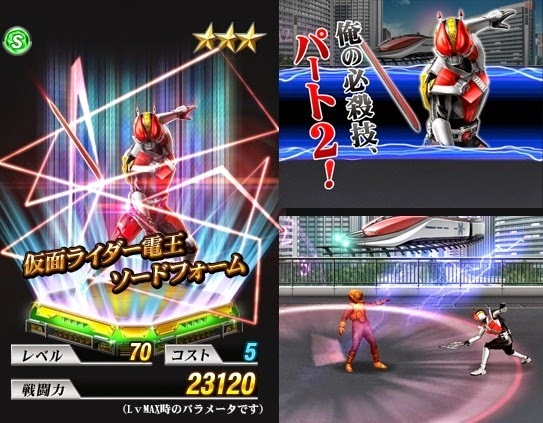 For new registered players, Kamen Rider Den-O Sword Form and Kamen Rider Gaim Jinba Lemon Arms will be included in the roster. Mechanics features forming a team in figure form battling together is different missions. Players also have the opportunity to battle online. The game needs to log-in using his/her Yahoo Japan account. The game is already available online.